The reliable and energy-saving supply of cooling water for production has the highest priority in a company. For this reason, more and more companies worldwide are relying on our energy-optimised and particularly reliable cooling system technology. In the power range from 5 to 160 kW, we offer powerful, air- or water-cooled compact chillers for cooling water supply in the temperature range from +20 to +8 °C for industrial applications. The design has been optimised to such an extent that all components are easily accessible for maintenance work in a space-saving, compact design. Top technology and quality products are combined in our compact chillers to form a powerful unit; an important prerequisite when it comes to supply security and reliability over many years. 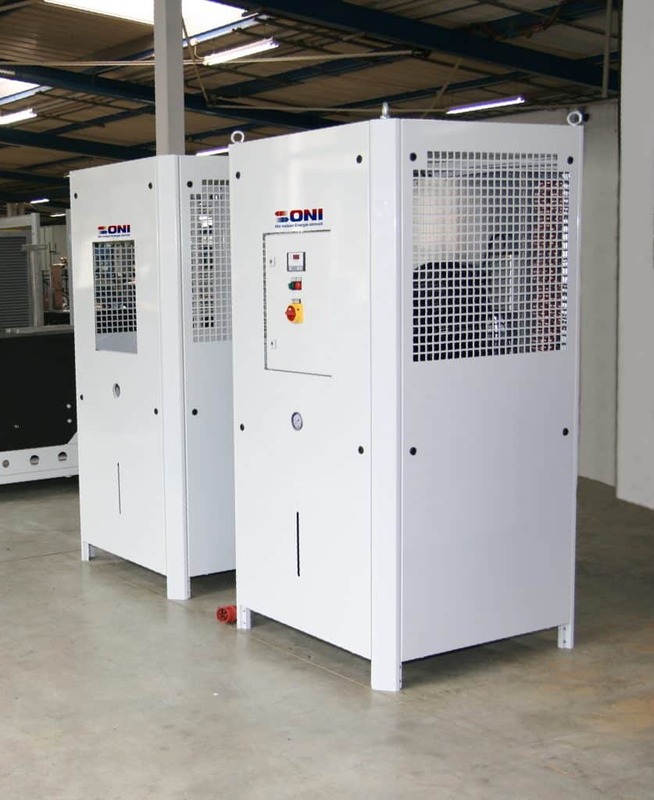 Prior to delivery, the devices are subjected to a thorough inspection and, after delivery, only need to be supplied with the necessary media connections and put into operation. The area of application covers the supply of injection moulding, die casting or blow moulding machines, extruder systems, hydraulic presses, machining centres, laser cutting or welding systems. 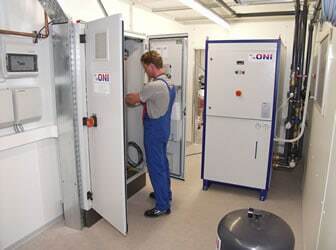 Considerable heating costs can be saved if the units are equipped with ONI heat recovery.